MBMG's Publication Office brings information to you! The mission of the Information Services Division is to get that information out to you. We edit reports, maps, and brochures; lay them out and create figures so you can more easily read them; and distribute these finished products through our sales office and our website. 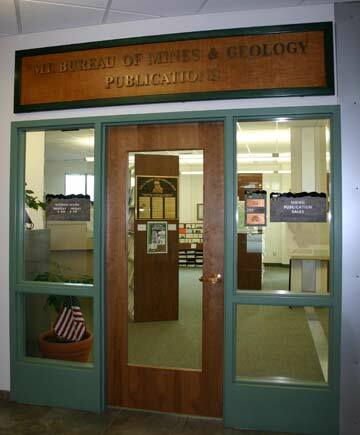 We serve the citizens of Montana, and anyone who needs information about Montana's geologic and water resources. The MBMG responds to requests for information on Montana geology and water from a diverse range of people, including: artists (jewelers, potters, etc. ); builders; geologists; local, county, State and Federal agencies; miners; researchers; recreationists (amateur gold prospectors, campers, fishermen, gardeners, hikers, hunters, rock hounds, etc. ); real estate agencies; students; schools; and universities. We supply information as MBMG publications, USGS topographic or thematic maps, data on our Data Center, or as referrals to MBMG researchers. The Information Services Division includes editorial services, cartography and graphic design, website management and design, and publication sales. Please contact us if you have any questions, concerns, or comments.